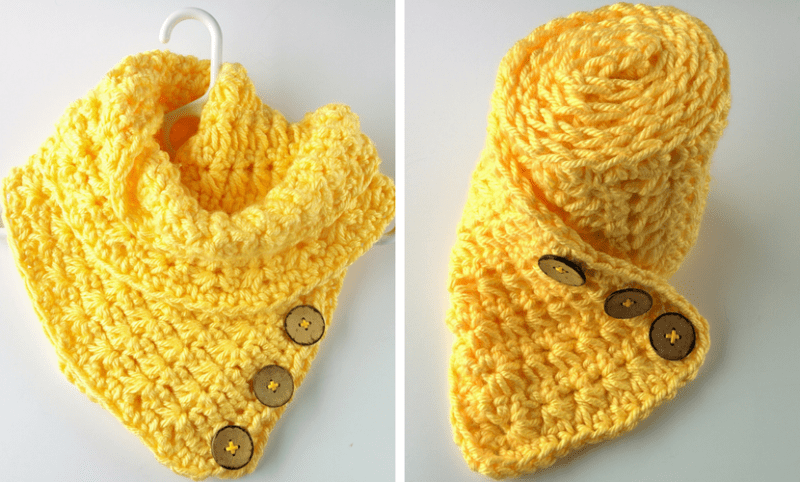 It’s crazy how popular crochet has become in such a short time, and I think a huge part of that is because people are learning how to use crochet stitches in new and interesting ways. Now, we get to see the most delicate crochet stitches or bright, bold borders and amazing textures in our handmade goods. As a modern maker, I have one fantastic resource for learning new crochet stitches and I wanted to share it with you all today. All of my patterns and designs start with simple enough shapes because I want them to be easy enough for beginners, but I also want to make sure that my designs teach you something new or give you something a little more special than just single crochet. I find inspiration for crochet stitches all over the place. Pinterest and Instagram are great, but I like resources that are comprehensive and all taught the same way so it’s easy to follow. Ever since I bought my 500 Crochet Stitches: The Ultimate Crochet Stitch Bible*, I’ve been playing around with new crochet stitches and learning new tricks as I worked. If you struggle to find new stitches or find that you lose your crojo a lot, this is for you. P.S. This post contain affiliate links (marked with *). I make a small commission at no extra cost to you if you purchase from these links. I only recommend products I actually use and love, and it all goes back to helping me create free content for you. This book is divided into a few sections. 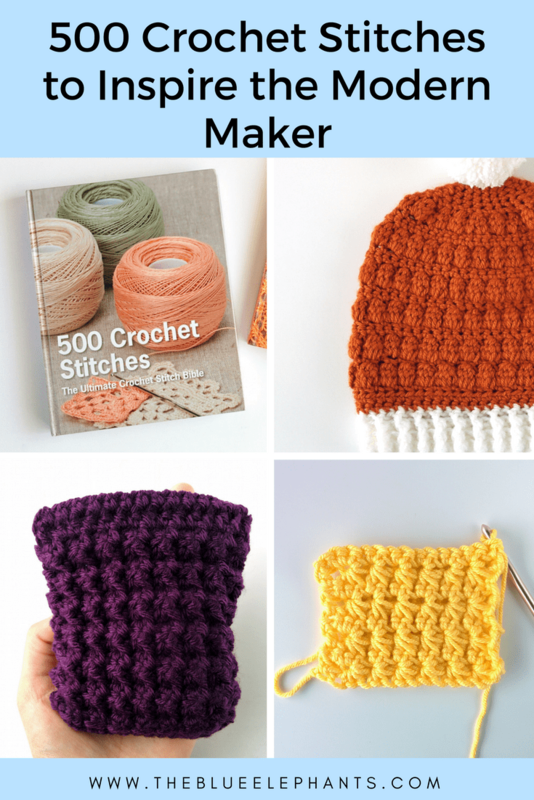 There’s a section that teaches basic crochet stitches and gives some information about crocheting and how to hold the hook and yarn. 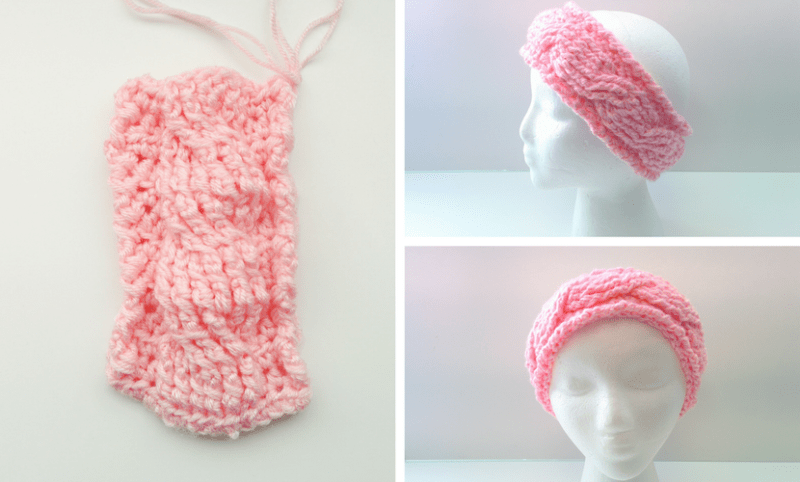 The second section covers more stitches and how to create different looks and textures. 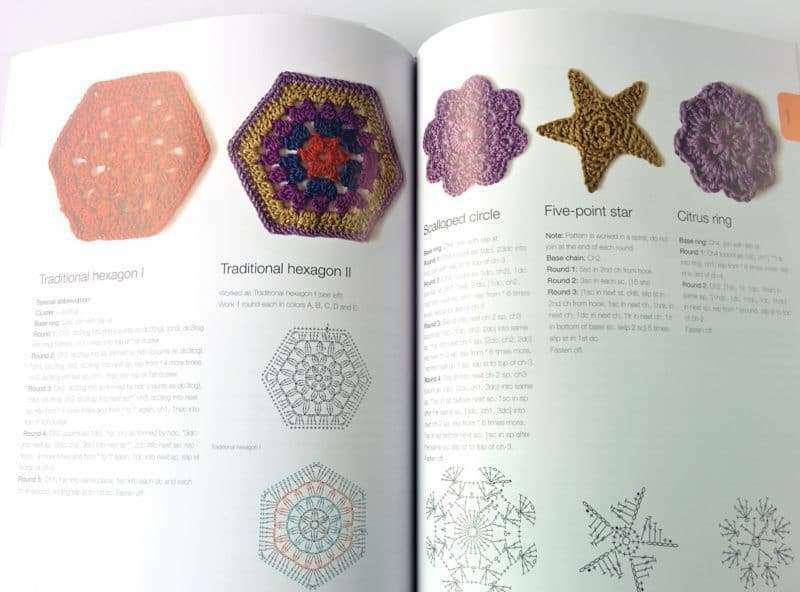 The third section is all about creating motifs in a whole bunch of shapes, including making flowers. 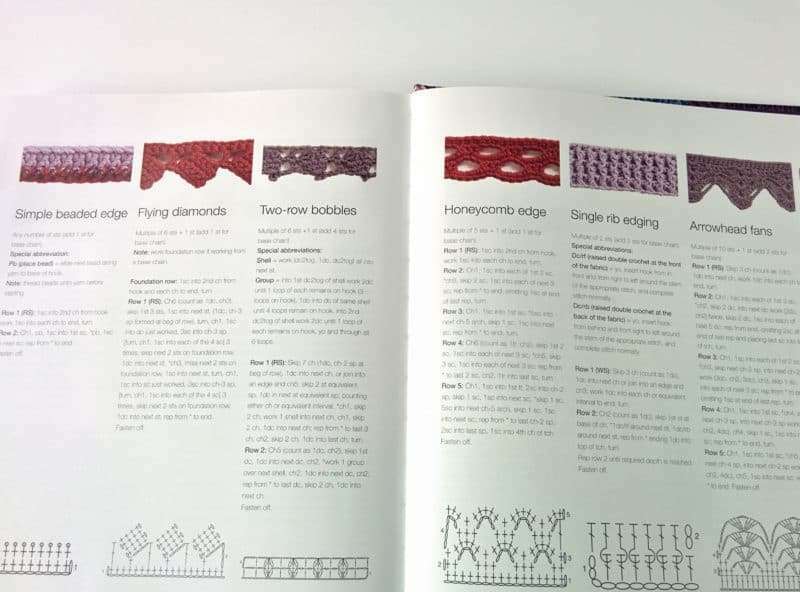 And the last section is on how to crochet trims, edgings and those finishing touches that really complete a project. I’ll start by giving you a review of the book and then how it helps inspire my projects. 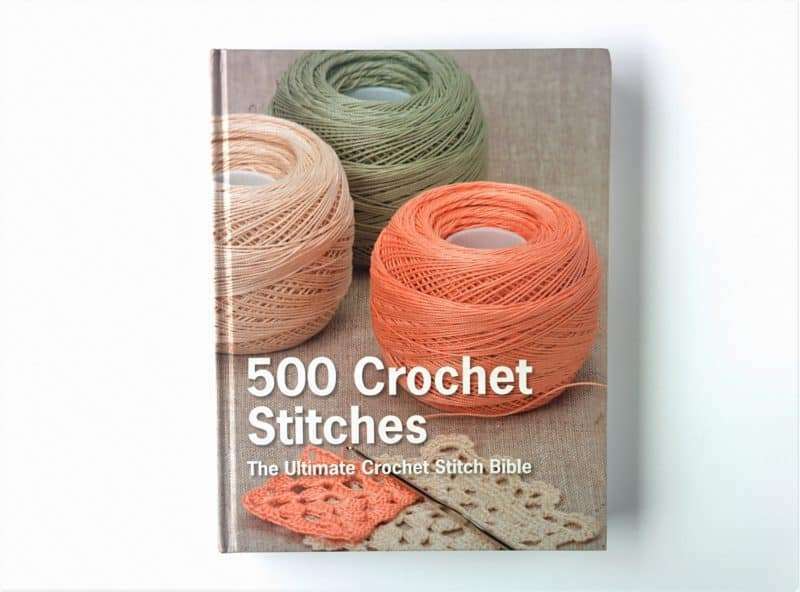 When I got this book, I knew the basic stitches (SC, DC, HDC, Tr, and a few others), I knew how to increase and decrease, and I could make simple flowers. For me, there was a lot I could do with a few simple stitches and good instructions, but I didn’t really know any interesting textures or stitches. Looking them up Pinterest usually only gave me the most popular results and once I learned those, I still wanted something more. It’s been a year since I’ve had this book and I’ve broken down my review into pros and cons. 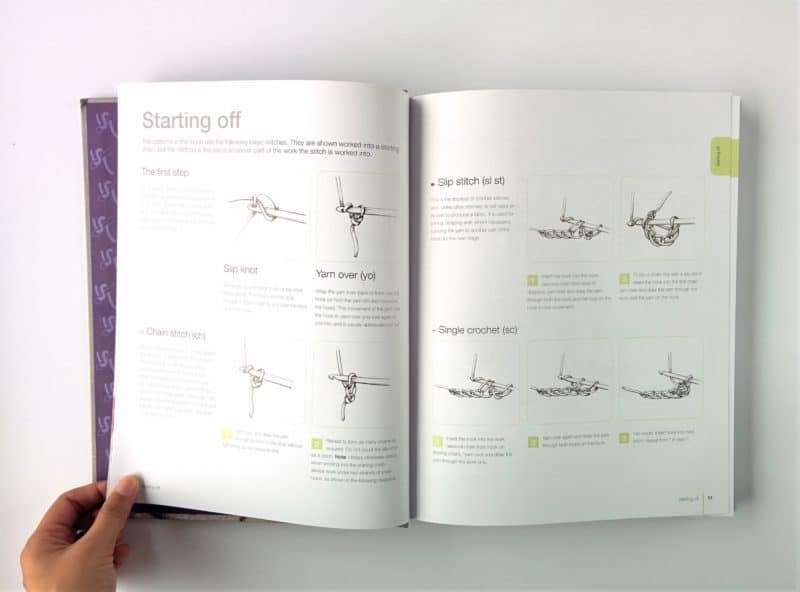 The first 32 pages of the book are devoted to covering the basics. I expected it go over how to hold the crochet hook and the yarn, but it went into much more detail and included picture tutorials. There were pictured tutorials on basic stitches: single crochet (SC), double crochet (DC), half double crochet (HDC), trebles (tr) and more. 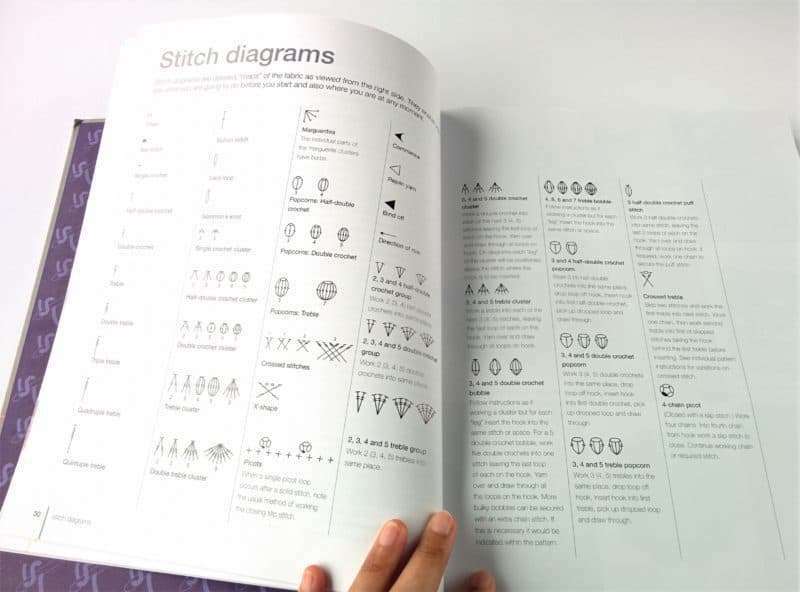 and stitch diagrams so you can read the charts too! I have a free cheat sheet for crochet abbreviations! Click below to download it. Side by side pictures. For all the basic stitches, there are pictures of the fabric made and you can really notice the differences between them when they’re right next to each other. Each stitch includes a finished picture, the name, written instructions for it, and a little chart. I loved that because sometimes the chart was easier to work out, and other times the written instructions were. It was nice to have the option and use whatever was simpler. There are tips throughout the book encourage you. Some say things like trying other fibers besides yarn, some motivate you to keep at it when the designs get a little more complicated. Overall, it was just a nice touch. There’s so much variety. 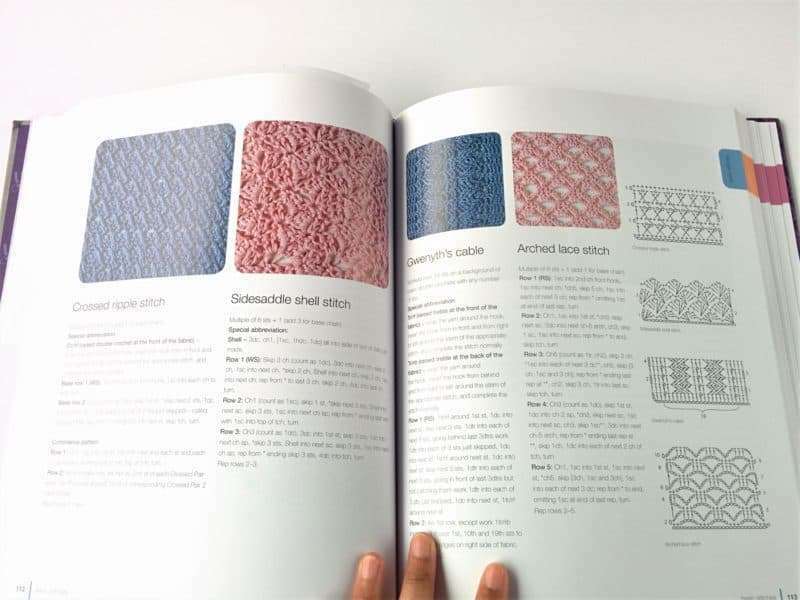 It’s a book of 500 crochet stitches, but even so, there are so many variations of motifs and edgings in this book that I had no idea were even possible. There’s always something new I want to try, like that scroll ruffle! Sometimes, the stitches aren’t really different enough to be separate. 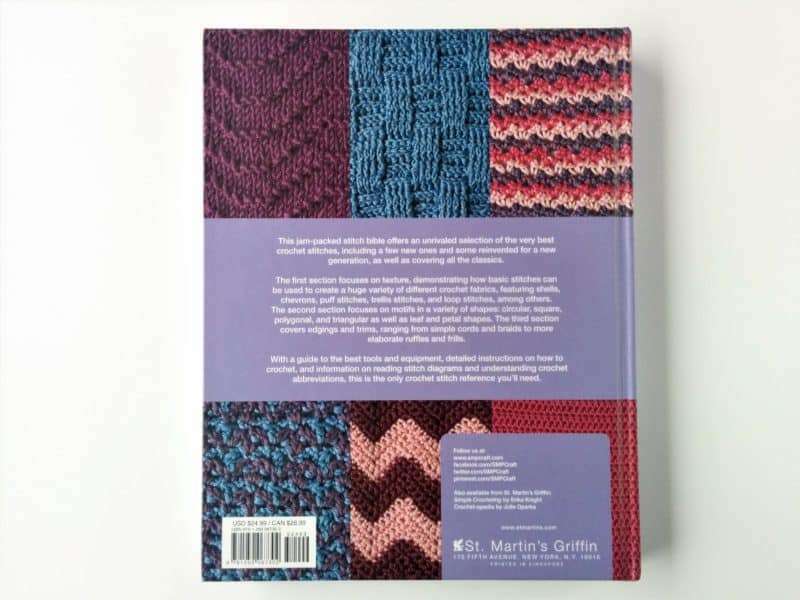 I said above that the book is varied, and it is, but there are a few stitches that bugged me because they were the same as the one before, but with different colors. I understand that it does look different, but that seemed like wasted space where something else could have been taught. 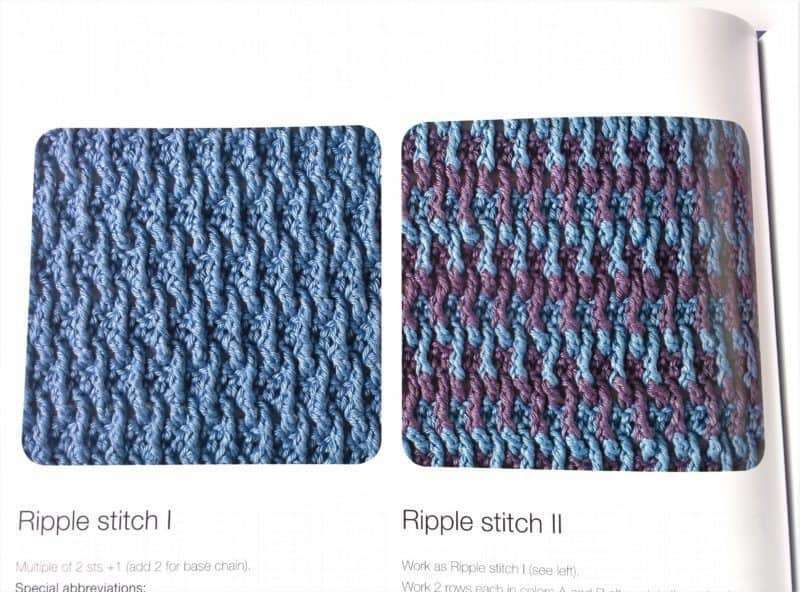 For example, the ripple stitch and ripple stitch II. The ripple stitch creates a really cool texture; ripple stitch II is just the same thing, but alternating colors every 2 rows. Still striking in appearance, but it should be an added note to the first stitch, not its own. This is done a few times in the book, but out of 500, they only made up like 7 or 8. There were some patterns that I really thought should be in the book, but weren’t. Like a plain, simple hexagon; there are several other kinds of fancier hexagons, but no basic solid one. When I start a new project, I start with deciding what is it I’m actually going to make. For blankets and beanies, this book is a lifesaver and it gives me so many ideas to look through. It also gives my clients something to help narrow down what they want in custom orders. I can send them a few pictures of stitches or if they’re around me, I can let them flip through and find they’re own ideas. 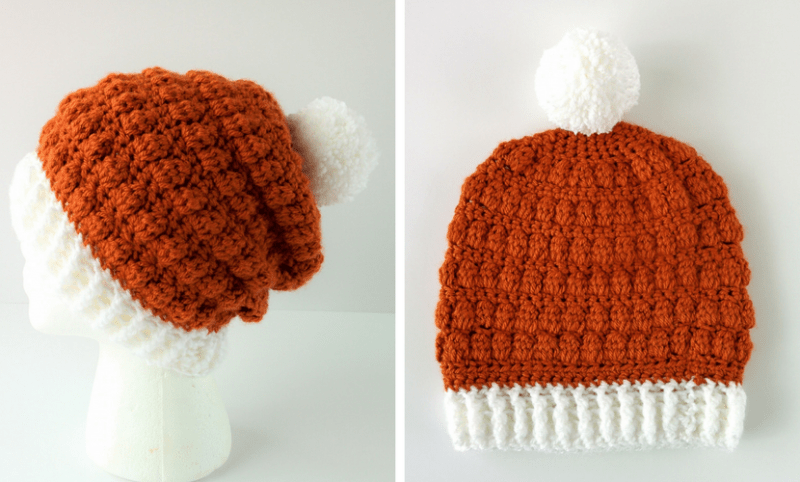 My Pumpkin Spice Beanie started out like this. I knew I wanted to make a beanie so I started the ribbing as I always do. 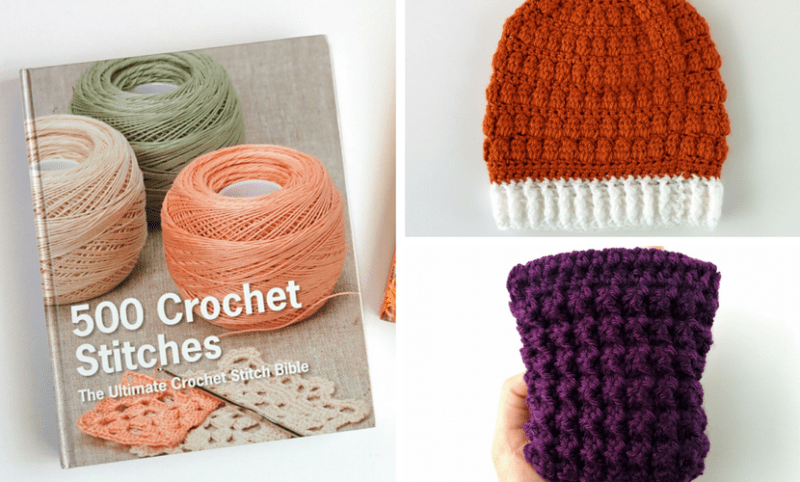 When I got to the body of the hat, I turned to my book to see what crochet stitches stood out to me. I found a puff stitch design I loved and swatched it to practice a little bit. Turns out, the reverse side was so much better! So I used that stitch throughout the body of my beanie and flipped in before finishing the crown. Now, I have this great beanie that looks slightly different from all the puff stitch beanies out there, and I didn’t have to struggle to design it. I also used the Trinity Stitch from the book to create a coin purse. 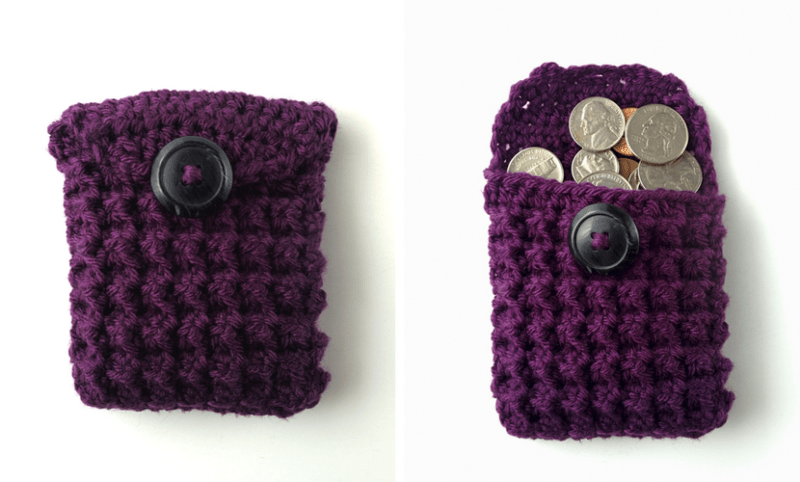 The coin purse would be a very simple rectangle but rather than using a boring stitch like SC, I wanted to show off how shiny the yarn was when it caught the light. So I looked through the 500 Crochet Stitches* for something raised like a bobble than didn’t use too much yarn. And voila! 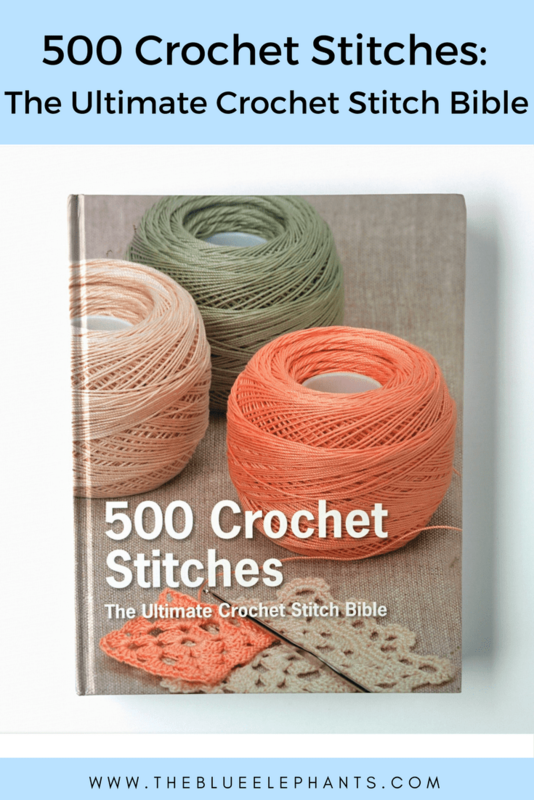 My Lemonade Scarf is another project that was inspired by the crochet stitches in this book. Other times, I just start a swatch of a technique I like and see where it goes. This cabled earwarmer below started off as a swatch of the cable pattern in the book. Then I just made it long enough to fit around my head and seamed the edges together! 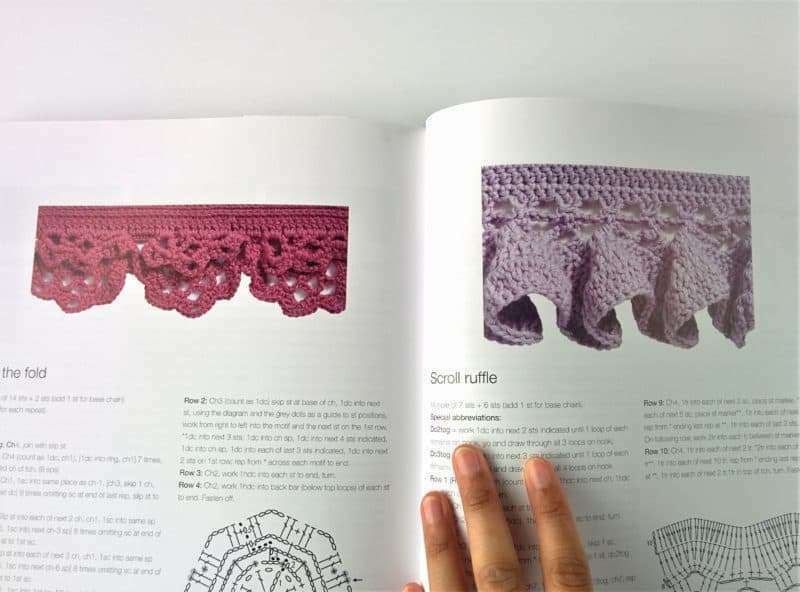 There’s also a Knitting Stitches Book! 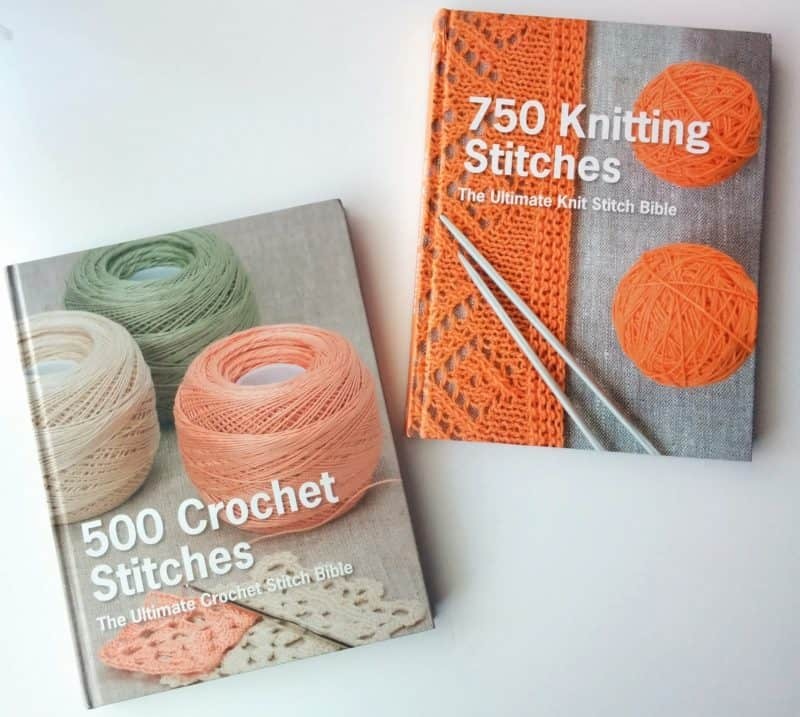 I loved the crochet stitches book* so much and used it so often, I went ahead and bought the knitting version* of it too! This knitting one is almost exactly the same setup, but it had more involving different colorwork designs, which is nice. Both of these are resources I reach for all the time and I highly highly recommend! If you want to see what other tools, resources, and materials I USE and love, visit my Amazon List and you can get them too. 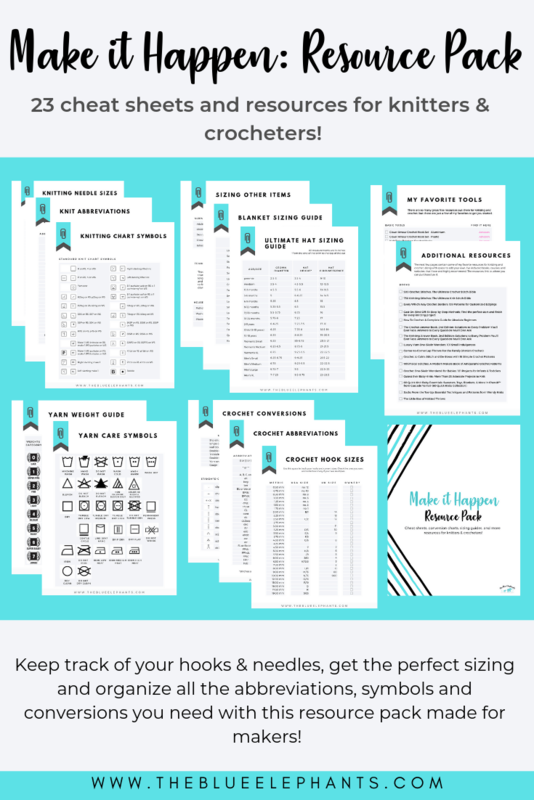 For more resources specifically for knitters and crocheters, check out my Make it Happen: Resource Pack! 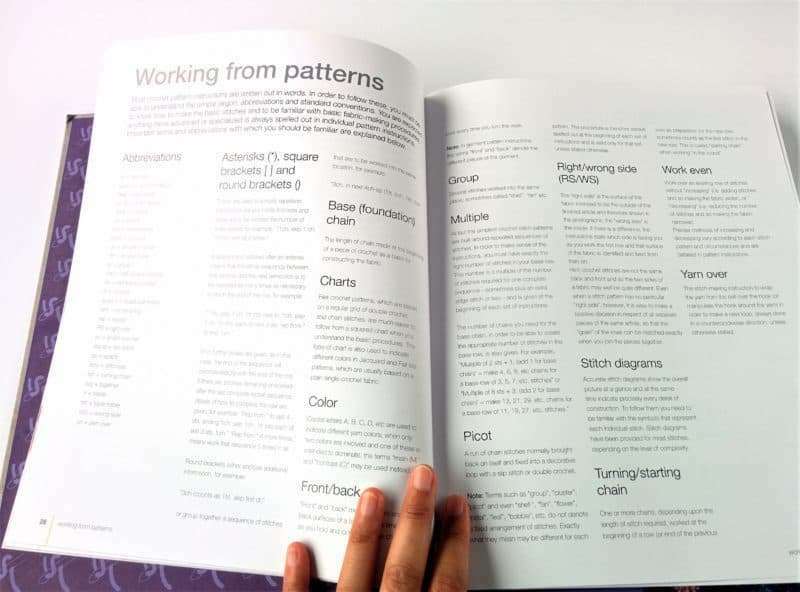 This is part of a set of planners I designed full of cheat sheets, resources, sizing guides, and more to help make sense of all things crochet. You can find out more about it and the two other packs in the set, the Designer Pack and the Guidebook, here. I hope you enjoyed this post and if you want more like this, subscribe using the box down below. You’ll be signed up for the weekly newsletter where I share new free patterns and anything else that went live on the blog that week, along with freebies and subscriber only deals! Just fill out your name and email below and you’ll be signed up for free.